Some of the most popular dental topics discussed in Plano and Allen TX relate to cosmetic dentistry, such as teeth whitening, veneers, and dental implants. However, the desire to avoid cavities is still the main reason Plano and Allen residents visit their dentists, so today the Plano Dental Blog is going to highlight the 5 things you need to know about cavities. 1. Cavities can also be called caries or tooth decay. When a tooth is permanently damaged in the hard surface, tiny openings occur. These little holes are cavities. 3. Cavities may get so bad that you will see pits or holes in your teeth, but symptoms may be more subtle, such as sensitivity, pain when biting, or a toothache. If you experience any of these symptoms, you should call your Plano or Allen dentist today for an appointment. 4. Cavities are more common among children, but that doesn’t mean adults don’t have to take precautions. 5. Avoiding cavities is simple. Be sure to brush twice a day with a fluoride toothpaste, floss daily, eat right and avoid snacking, and have regular teeth cleaning visits with your dentist. If you are in the market for quality dental care in the Plano area, give The Plano Dentist a call. We have been treating dental patients in and around Dallas since 2005. 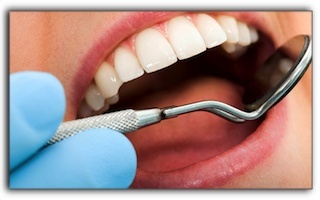 We can also answer any questions you have about sedation dentistry procedures. Plano dentist Dr. Isabella Mejia provides exceptional family dentistry, restorative and cosmetic dentistry, Invisalign clear braces, and so much more to the North Dallas area including Plano, Allen, Murphy, Fairview, Sachse, McKinney and Frisco, Texas.